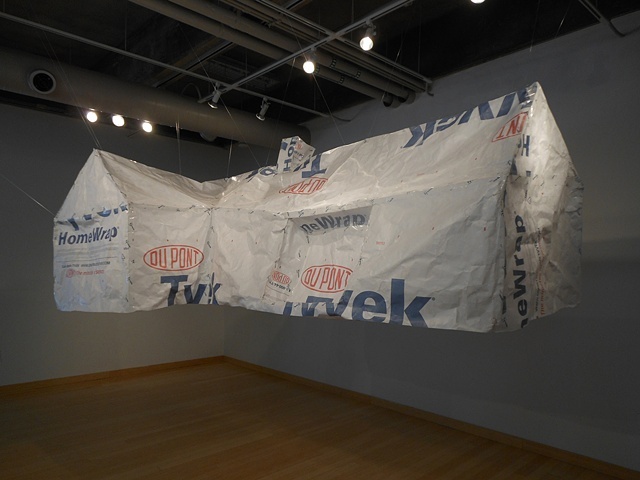 Tyvek HomeWrap is a product used by homebuilders. It acts as a water-resistive air barrier beneath the exterior cladding of a house, serving as added protection from the wind and rain. It is thin and light, yet tough and durable.